The Southern Ocean that surrounds Antarctica has been getting warmer and less salty since 1950 at a rate nearly twice that of global oceans overall. Now, for the first time, researchers using data from a global network of data-gathering ocean floats known as Argo and pre-Argo records, along with a climate model, have attributed these trends to human-caused climate change including greenhouse gas emissions and depletion of the ozone layer. 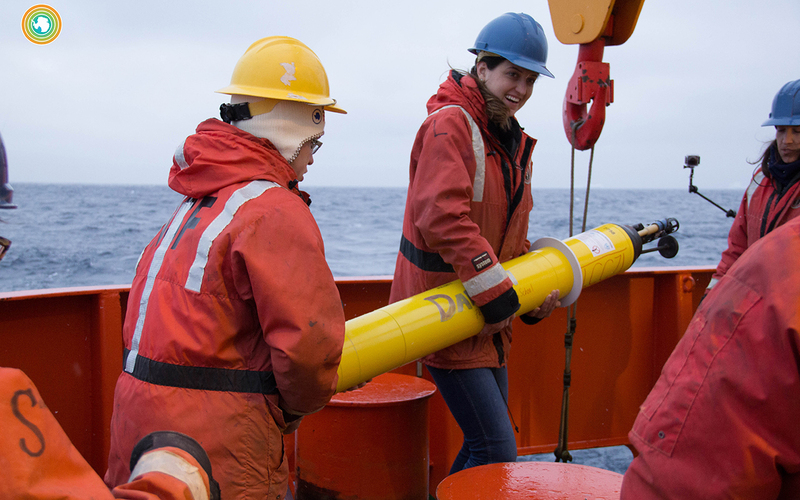 Sarah Gille, a physical oceanographer at Scripps Institution of Oceanography at the University of California San Diego and co-author of a new study, said the research validates how scientists have been interpreting long-term trends. It also shows that a climate model validated against historic ship-based observations is able to provide realistic representations of long-term trends, which will help scientists understand what could happen in the Southern Ocean in the future. The Southern Ocean is a key player in global climate in that it absorbs a disproportionate amount of excess heat and carbon created by human activities. Trends in the Southern Ocean are consistent with warming in the world’s polar regions that is well in excess of global averages. The study is among the first to identify the human fingerprints of warming in this specific ocean region. More than 20 years ago, other Scripps Oceanography researchers were able to conclude that there was no plausible explanation for warming except anthropogenic influence but their analysis considered much larger scales with less resolution. In this study the researchers also singled out greenhouse gas emissions and ozone depletion as key factors. Another potential human source of ocean change – aerosol pollution – did not appear to be a factor in Southern Ocean trends. The study, “Recent Southern Ocean warming and freshening driven by greenhouse gas emissions and ozone depletion,” appears Sept. 24 in the journal Nature Geoscience. The National Science Foundation supported Gille’s portion of the research.